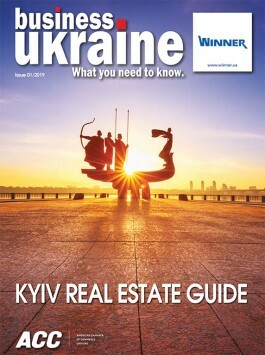 As part of Radisson Hotel Group’s responsible business program, four Ukrainian Hotels, namely Radisson Blu Hotel, Kyiv Podil, Radisson Blu Hotel, Kyiv, Radisson Blu Resort, Bukovel and Park Inn by Radisson Kyiv Troyitska have announced that they are moving towards a no plastic straw policy that aims to minimize the impact that non-recyclable material has on our environment. The global movement against the everyday use of plastic straws has gained considerable momentum in recent years as part of wider efforts to cut down on the amount of plastic items produced and disposed of around the world. The average plastic straw takes an impressive 200 years to decompose. The impact on the environment becomes more shocking when considering that the USA alone uses more than 500 million straws a day, the equivalent of 125 straw-filled school buses. The damage of straws was made particularly evident in the viral video of a turtle getting a 10cm long straw extracted from its nasal cavity. “It’s all about habits and it is in our power to start changing them. In the hotel, we use straws everywhere – during breakfast, for meetings and events when serving a coffee break, in the café and the lobby bar. We now invite everybody to join us and #RefuseTheStraw. 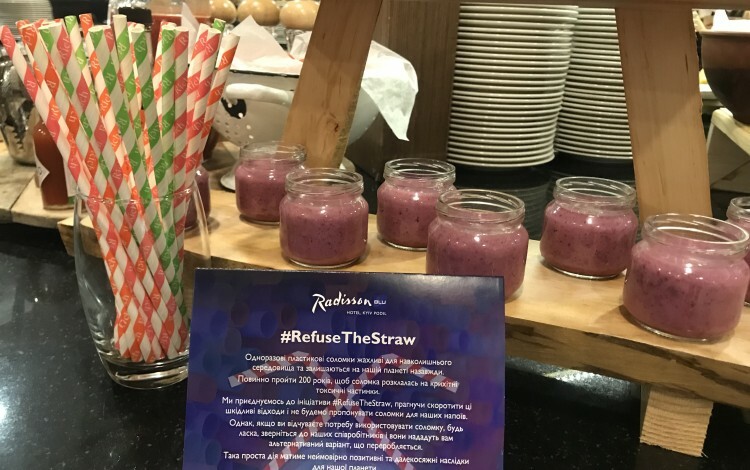 If a guest still prefers to use a straw, we will offer a recyclable option made from paper,’’ explains Nadine Fernbacher, General Manager of the Radisson Blu Hotel in Kyiv’s riverside Podil district.